Come here for everything Toi Stori! New Music, Videos, confessionals, interviews and media! Surprise! We have music for Blood of a Queen! So freaking excited for this! I get to combine my love for music and writing into this very unique reading experience and I can’t wait to share it with you all! After spending hours of songwriting, recording, producing and mastering we finally have a finished product! Why is it So Important to Have Music to Blood of a Queen ? Music, the magical combination of sounds, harmonic voices, instruments and emotions– is the invisible force that connects the listener to a specific experience, usually one that the writer wants to induce. We’ve cried, laughed, been afraid and even sat on the edge of our seats in suspense while watching a movie unaware that it is the music that is drawing us in even more. Sometimes the music alone can affect you in ways the dialogue and scenery can’t. That’s the magic of music. Without it, our experience becomes 1 dimensional. But not anymore. Experience my novel Blood of a Queen like you’ve never experienced a book in your life. How Will Music Work For Our Book? Just like how a movie soundtrack supports scenes in a movie by describing a current mood or emotion, our music will do the same by enhancing the mood of the book. Placing you in a similar emotional experience as our protagonist, Ruby. As our characters experience love, heartbreak, betrayal or courage we want the music to add another layer to the readers experience. See the book like a movie, flow with the story and be taken deeper. 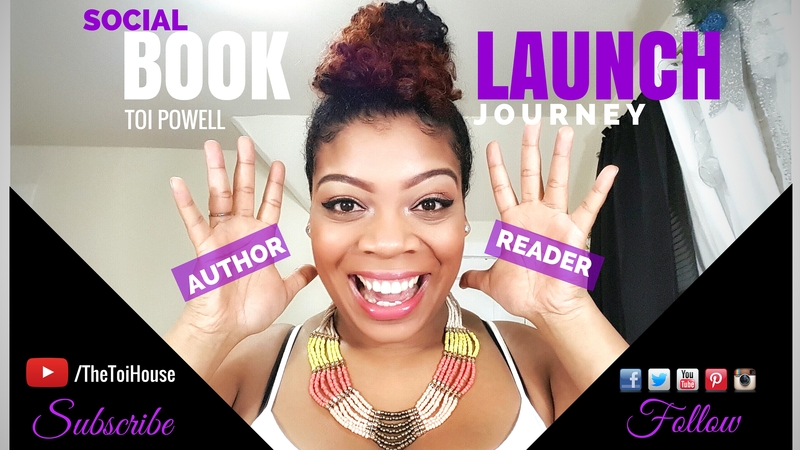 Launch Buddy, by clicking below, you will be among the 1st to experience the music behind the book! Click the audio link below to preview our song, Blood of a Queen! Co-written by James Aaron Foster. Don’t forget to share the journey with your friends and family by clicking on the share buttons! EBOOK NOW AVAILABLE FOR PRE-ORDER ON AMAZON! Take On Innovation and enjoy! I come to you as an aunt or future mother whose heart is too fragile to see you as yet another victim of a society that was not built for you. The pain of mothers past, present and unfortunately, the future supersedes anything the human soul can possibly comprehend. Your beauty as black men has been replaced by fear from those who never have or ever will understand you. Unfortunately this stigma has been placed upon you before your parents were even born. Although you may feel equal to your peers of other cultures, you must remember for your life’s sake, that you are not; at least not yet. The fact that I am writing this is painful enough to admit, yet, it is the only advantage you will have in life. If you understand the difference between you and your multi-cultural brothers, you will understand what your fathers and brothers before you have come to understand and….you just may have a chance. The times we live in are truly a time of confusion, heartache and pain. Painful that we are only fifty or so years out of segregation where people like you were bound by laws of this United States that criminalized you for being who you are. Simply for being…who…you…are. It’s painful that in the face of injustice from those who have owned us, sold us, oppressed us, killed us and destroyed our families and even with the insurmountable evidence against them, it is still not enough to lift the bounty from your heads. Those who hate you and want to destroy you will do it, even with the law on their side. It’s painful that peaceful protests are rocking this country, yet the media would rather show the small few who loot and burn so they can generalize us all, rather than understand our pain. It hurts to read the comments on social media from “friends” of a different race who assume we are merely complaining and can’t relate to our suffering. And speaking of suffering, it pains me to go to work every day and suffer in silence as the visuals of our dead men laying in the street rack my brain, mixed with deadlines of work I could care less about. The only dead lines I fear are the chalk outlines of young black men who look just like you. My heart is heavy with despair as I must prepare you for the life you are about to enter as a black man in America. It’s unfair, it’s humiliating and it hurts but you MUST heed my warning or else your young lives will add to the millions of young black men whose lives have been taken from us way too soon. Do not let your frustration or anger of being racially profiled, followed, harassed, and frisked or provoked cause you to REact in the way they expect- in the face of law enforcement. This includes being loud, belligerent, ghetto, untamed or simply upset. There are some who will use even the excuse of a sneeze to kill you in cold blood. Do not walk with your hands in your pockets in public places. If your hands are cold, wear gloves. Pockets were not made with you in mind. The image of you has been plastered on TV and ingrained in the minds of people who are not like you, brainwashing them to fear you. And because they do, they do not see you searching for warmth but instead searching for a gun we all know you don’t have. They will call the police who will take their word over yours and never stop to ask you questions before shooting you dead. This is one of the hardest things I will have to tell you but you will only have your own judgment to guide you. As scary as it may be, WHEN the police wrongfully approach you (and in your lifetime this will happen more than a few times), you MUST stand there and face fear directly in the face. Do not move unless they tell you to. Answer them and follow every direction they give. As humiliating as the demands, you must comply. I know it will hurt physically, emotionally and spiritually but your highest priority is to stay alive! DO NOT give them a reason, although they need none. Even as I write this, I know that this too is a gamble. Like facing a beast in the woods, do you stand still so you don’t provoke it, or do you turn and run because you know either way, you’re dead? I beg of you, do not run. Live to survive another day, to find another way to rise above this. If you want to record your interactions with police, use your phone but have it out before they approach you. They do not want to see you reaching for anything. Be polite, answer questions and although you have rights, unfortunately – these rights do not apply to you. Be aware. You have a right to record and to ask questions but, as a black man, this is a provocation. They will see you as a threat and use this as an excuse to do what we have already seen them do and get away with it. Do not forget the fallen. Whatever you do, remember their roles in this universe. To bring awareness to an epidemic much larger than any known disease this world has ever seen. Racism is your biggest enemy and it has been killing our people for hundreds of years. There have been more black lives taken since the beginning of slavery til the very day you read this letter. Do not become another one of them. Always remember those who came before you. I am weak and drained with sadness from the injustice plaguing this country but I have found the strength to instill in you the truth of what it is like to be a black man in America. Although I have not listed every occurrence, know that racism hides behind closed doors, grand jury’s and badges. If you know this, then you know you must find a peaceful way to make a change. You are powerful, strong, beautiful human beings and change can happen but, it starts with you. Sometimes it seems as if you must represent yourself in ways only Jesus can. Like you must be perfect to even have half of their respect, but you must think and grow beyond that. You must find ways to protest injustice without inciting violence, looting, destruction and pain; which not onlyaffects others but also affects your own people. You have a responsibility to educate yourselves in your history, in the trends of disparity among our culture so that you may have the tools you need to finally defeat this enemy. You are our future and though they may target our future with police brutality, I won’t let them succeed which is why I am leaving you with these words of advice. Always remember to keep love and peace in your hearts. No matter how hard it becomes you must hold on to your humanity, no matter how hard they try to take it away. Be strong my young black children and never forget the fallen.